In any given year, anywhere between 65 percent and 80 percent of runners get laid up with an injury. Poor footwear, inadequate core strength and overpronation are often to blame, but the most common culprit is overtraining. Meet the "10 Percent Rule," every injury-free runner's training partner. In short, the rule is that runners should never increase their mileage more than 10 percent week over week. In other words, if you ran 20 miles last week, increase it to 22 miles next week and not a smidgen more. A slow and methodical progression of mileage helps to stave off injuries and improve performance. Runners overtrain for a number of reasons. The most common one is a lack of time. That race you signed up for months ago is suddenly just a few weeks away. Runners with a tight training window will try to cram in more mileage than they should. "You really need to take the time to build up your endurance," says Jennifer Gill, a Road Runners Club of America (RRCA) certified distance running coach based in Washington D.C. "The point of training is slow, gradual progression." Anything else can lead to unnecessary aches, pains and injuries. Some runners simply let their excitement for the sport get in the way of their training. When you feel great running, the impulse to add more mileage can take over. "I see it all the time in both experienced and beginning runners," Gill says. 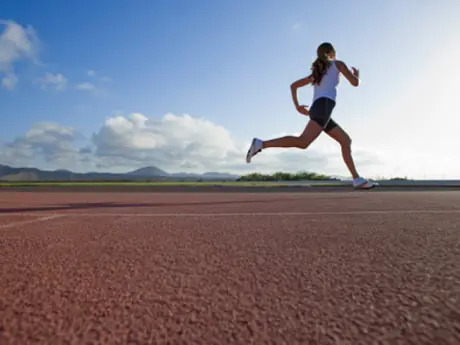 "Once a runner is training consistently, they often think it is okay to jump from one set of miles to another, when it really takes time for your body to adapt." Although it may feel like you can handle more, patience in training is imperative, albeit tricky at times. Your body may be able to handle the extra load for a week or two but will most certainly crash in the end. Work on regulating that enthusiasm so you have it on reserve for race day.